The telling of cards is an old and intriguing system of divination which has, in recent years, undergone an incredible expansion and growth in popularity. Most of this is directly attributable to the various angel cards of Doreen Virtue and the numberless other oracle cards that have been subsequently produced by the endlessly inventive Hay House. 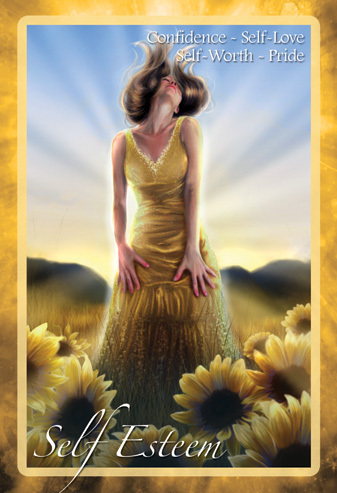 I am excited to see, however, that Australians are producing fascinating and beautiful oracle decks, and the latest to come my way is Caryn Sangster's Chakra Insight Oracle. Caryn has designed the deck and written the accompanying guidebook (which is included) and the cards have been sumptuously and cleverly illustrated by Amy Edwards. I was immediately drawn into the deck when I shuffled it and made my first selection - it was "The Mind," exquisitely evoked with an indigo nexus spinning at the centre of a beautiful woman's forehead. There couldn't be a more perfect card for me at this moment in time, when I am finishing my doctoral dissertation and about to embark on my second book. 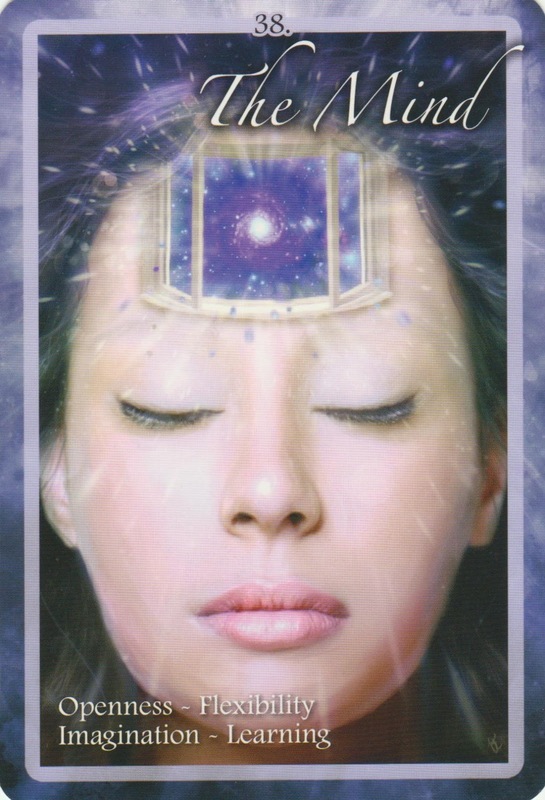 My mind is quite treasured at the present, and the Chakra Insight Oracle was speaking to me directly and powerfully right from the first touch. Caryn is a healer, a social worker and a metaphysician with a solid grounding in Eastern healing techniques and systems of energetic healing. 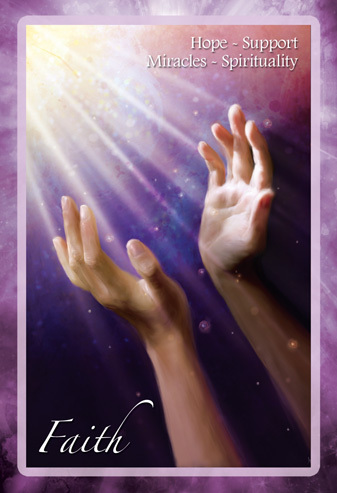 It is this varied and deeply spiritual background that informs the philosophy and meaning behind these cards, which are designed to be used as daily or occasional prompts to facilitate healing, energise the day or provide some kind of subtle spiritual guidance. They really represent an intense and nuanced journey through the subtle energetic field that metaphysicians say courses through and around our body and is most apparent to us through the chakras, the real framework of this deck. The chakras are, of course, an ancient Indian spiritual idea about the varied and gradual energies that are supported in different areas of our bodies. The Chakra Insight Oracle exends this ancient idea immediately into the present with its simply divine illustrations and the stories and messages of each card set out in the guidebook. And what does the guidebook say about my own, most special card, No. 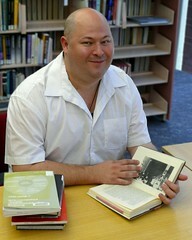 38, The Mind? Amongst two pages of stimulating ideas and challenges one is reminded to: "Train your mind to focus on the positive aspects of life and to remain open to new concepts and ideas." The perfect advice for me, I think, at this pivotal moment on my life's journey. If you've ever heard about the chakras or you are familiar with their system and wanted to deepen your understanding, you really must get this wonderful new deck. It is a glorious gift, too, for anyone interested in alternative healing, psychology and spiritual development. I am taking my Chakra Insight Oracle abroad with me to provide guidance on my travels and new ways to examine my days. I think you will find it equally stimulating and helpful on your own pilgrimage through life. 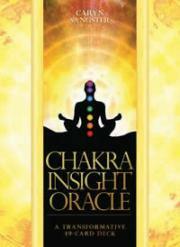 Chakra Insight Oracle is written and created by Caryn Sangster, illustrated by Amy Edwards. It is published by Blue Angel Publishing and is available in book, gift and New Age stores. You can purchase it on-line here.